Yemen has one of the lowest supplies of freshwater per capita in the world. The effects of a growing population and limited water resources have been exacerbated a great deal by climate change and the escalating conflict. Many Yemenis have no option but to drink unsafe water. In 2017, this led to Yemen suffering the worst cholera outbreak in recorded history — over 1 million cases, more than half of which were children. New outbreaks constantly threaten people in Yemen. How is Solar Energy Helping Yemen Access New Water Sources? In response to severe water scarcity, IOM, the UN Migration Agency, is utilizing solar energy to provide reliable and affordable access to clean water for communities affected by the ongoing humanitarian crisis in areas where fuel and electricity supply is either nonexistent, erratic or just too expensive. Solar powered deep wells and pumps have been installed in three communities. As there is no State generated electricity for these communities at the moment, the power generated from solar panels activates a pump that extracts water from the wells and then brings it into people homes. Nearly a million litres are now being pumped by solar power every day through this project. “After assessing a number of different solar pumping schemes in other humanitarian settings and evaluating the feasibility to solarize local water points in critical areas, we decided to adopt this renewable energy in our water projects across Yemen,” said Abdulmalek Al-Mogahed, IOM Yemen Engineer. “This not only cuts dependency and high recurrent costs of the fuel-based technology that we previously used, but also ensures essential water provision in places where supply and prices of fuel and other basic commodities are affected by the ongoing conflict and are erratic at best. The only way to continue to provide essential life-saving services, such as clean water, to people affected by Yemen’s conflict is by finding creative solutions that reduce service provision costs,” he added. 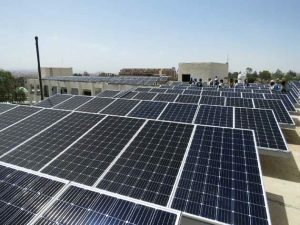 Using the roof space of three high schools in the Amanat Al Asimah and Sana’a Governorates, 940 strategically-installed solar panels are supporting two 120 kilowatt (KW) and one 65 KW power systems, providing 834,000 litres of water every day by pumping water for 7 hours from three different wells into the water systems in seven neighbourhoods. Some 55,000 people can now access adequate safe water on a daily basis. In addition to the immediate public health and livelihood benefits of having more reliable and affordable water, this initiative is helping save an estimated 162,000 litres of diesel worth 58.3 million Yemeni Rials or USD 121,0000 (at current prices) and 400 tonnes of carbon emissions every year. During the development of the project, IOM consulted with local communities to get their feedback on the plans, as well as with local authorities and school administrations. IOM also plans to run community awareness raising campaigns on the importance of renewable energy and capacity building in terms of maintenance and servicing in the next phase of the project. This solar water initiative in Yemen gives IOM an opportunity to contribute to a more effective and sustainable use of natural resources, connecting humanitarian responses to sustainable development. “We hope this solar water project encourages others in the country to follow suit,” added Al-Mogahed. This initiative is supported through funding from the United States Office for Foreign Disaster Assistance (OFDA) and the Government of Germany. In July 2018, IOM handed the project over to the local authorities and communities, while still providing support to ensure its sustainability. 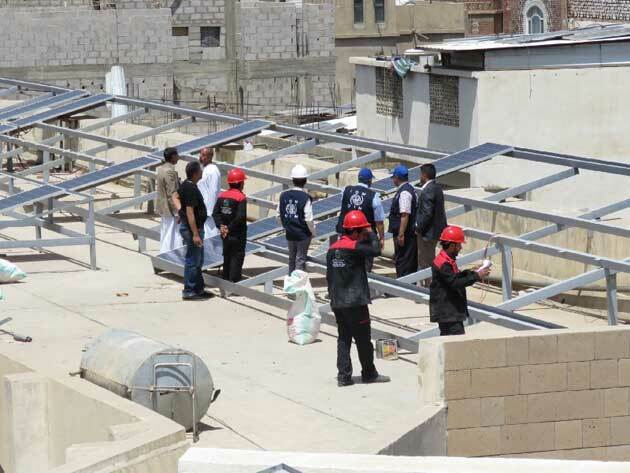 IOM plans to continue to work towards solarization across Yemen. 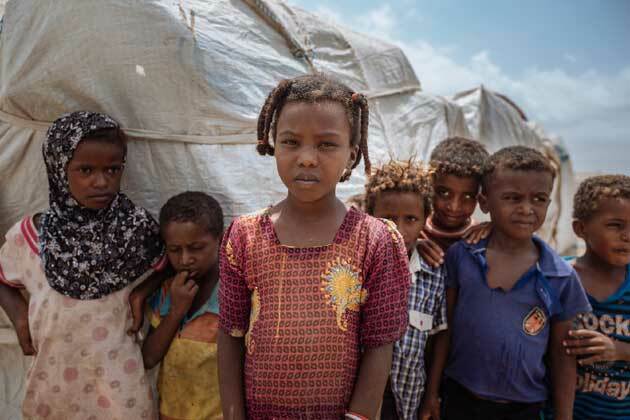 This story was posted by IOM’s team in Yemen.